I love my commute! I think I might have one of the most beautiful commutes in the world. 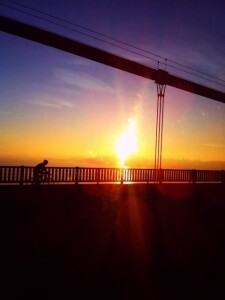 I take the bus over the Golden Gate Bridge at sunrise everyday. 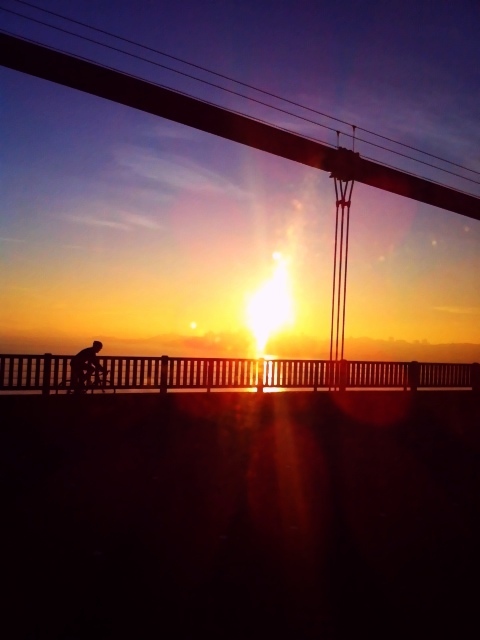 This was my view today: a cyclist riding over the bridge at sunset. What a great day for a bike ride!